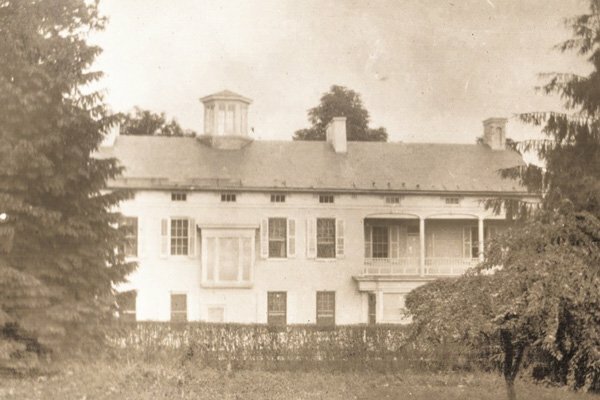 The Emig Mansion has undoubtedly been the most significant home and property in the history of Emigsville, which is a quiet little village located just ten minutes north of York, Pennsylvania. The property originally came into the Emig family when it was purchased as a farm by Valentine Emig in 1810. The farm eventually was passed down to John Emig Jr, Valentines grandson, and in 1850 John Emig Jr built the home known today as the Emig Mansion. John was a farmer and an entrepreneur. In the 1850s, York County and the Lancaster Valley was the bread basket and growing industrial center for the northern States of the US. The area was blessed with the country’s most fertile soil and probably it’s greatest asset , a hard working German immigrant population with a heritage of farming. This combination provided opportunity for many areas of growth and John Emig Jr. seized his opportunity to grow along with it. 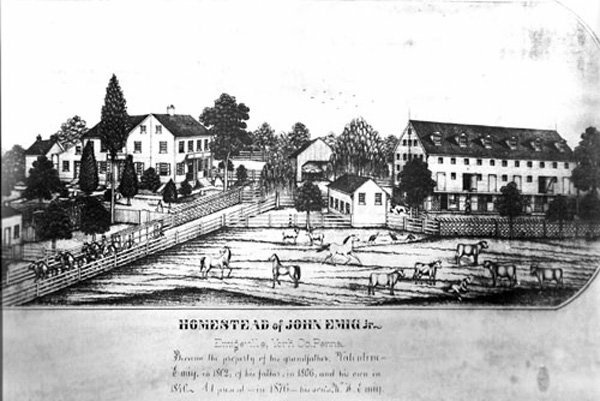 John realized that the railroads were the key to the nation’s transportation system and the main line between York and Harrisburg, and the state’s capital ran through his property. He became the local railroad agent and profited from the growing activity that was generated by the local farmers who shipped their crops and grains to the north and craftsman that worked in the factories in nearby York. The thriving port of Baltimore also supplied generous activity to the local rail industry. John also ran a thriving lime production business with much of the product being shipped to Baltimore for export. He also was the local post master and ran a General store. His influence was without question the most influential in the area and the local residents were moved to name the town after him, thus Emigsville was born. The York area and the Mansion played a role in the civil war when General Robert E Lee sent troops under the command of Jubal Early north into Pennsylvania with the goal of capturing the Capital city of Harrisburg in June of 1863. Lee’s goal was to strike deep into northern territory, destroy the rail system that supplied northern troops, and to cut off Washington and Baltimore from supplies from the northern states. A major event took place nearby in Wrightsville Pa. when Confederate troops attacked Union militia. The incident resulted in the total destruction of the mile long railroad bridge that crossed the Susquehanna. Other rail bridges in the area were also destroyed. The 17th Va. Calvary under the command of Colonel French came to the Emig Mansion on the evening of June 28th , occupied the mansion and its grounds. The officers are reported to have had dinner served by the Emig Daughters, and afterwards ordered John to open his store and the confederates bought provisions with confederate dollars leaving with the statement often repeated. ...“hold onto that money, you’re going to need it when this war is over.” History also records that a large contingent of confederate troops were camped on the hill that exist just behind the Mansion and John Emig fired several shots at the unwanted occupiers. He was quickly confronted and subdued by confederate infantry. Before they could move further north to Harrisburg, orders were dispatched for the 8000 man force to head back south towards Gettysburg where a large contingent of the Union Army had been discovered. The confederate army would never again move this far north into Union territory, thus the engagements in York, Emigsville and nearby Manchester Township were the true” High water mark” for Lee’s army. John Jr’s. 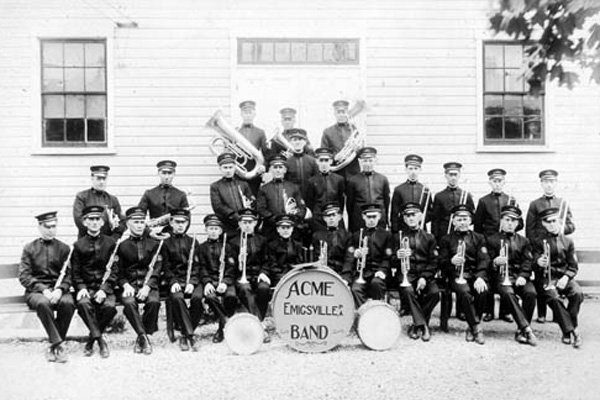 Son, Edward continued his father’s business spirit when he opened the ACME wagon company in the 1880’s. It became one of Pennsylvania’s largest companies with sales of over 2000 wagons per year. The original factory buildings still stand across the street from the Mansion. Edward used the family’s wealth to restore and improve the mansion. Many of his improvements still exist in the home and add to its charm and glorious existence for us to enjoy today. They include beautiful stain glass windows, Italian marble in the entrance foyer and bathroom, marble fireplace and exquisite Philippine mahogany paneling and wooden carved moldings in the dining room. The Mansion has been used for many different purposes over the recent years and was discovered by a local realtor in the 1980s in a state of disrepair. Mary Llewellyn made the decision to save the Mansion and with great research and resources restored the home saving many of Edward’s improvements. The Mansion was opened as a bed and breakfast and has continued to operate as such to the present day.